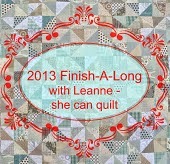 Today I have my final finish of 2013 to share. I wasn't sure if I would get it done by the end of the "fourth quarter," but my Woodland Sampler is complete. I had intended to have it framed too but I am going to wait until after I move - it seems silly to risk glass breaking within the frame as our stuff travels across the country. I enjoyed stitching this pattern on tired nights in front of the TV. I made a few mistakes but hopefully they are difficult to notice. 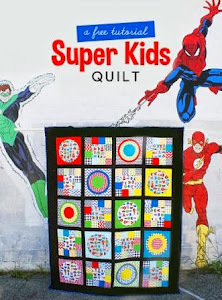 This is the fifth finish of the six projects I listed in my fourth quarter Finish-A-Long list found here. #1. The Christmas Countdown Calendar was completed in time to use for the month of December and resulted in many early mornings because my son was so excited to see what was in the next pocket. #2. 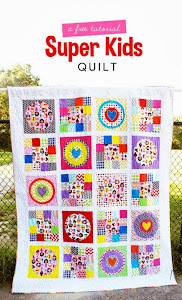 This hexagon quilt was finally quilted and bound and donated to a Senior Care project. #4. I completed this simple baby girl quilt with the rogue hexagon flower I had sticking to my design wall for half the year. 5. The City Sampler quilt is not yet finished. 6. The Harry Potter quilt is quilted, bound, and was given to my sister for Christmas. I think I was pretty successful with meeting my finish-a-long goals mainly because I felt strongly that I didn't want to drag a bunch of WIP's and UFO's across the country for when we move. Making a list of goals is also effective for me and helped motivate me to not start a bunch of new things. Thanks to Leanne for this fun blog activity. Love the woodland sampler! It looks great!! What a great bunch of finishes. You did so well, I hope you move was fine too.